We’re sure that every now and then you enjoy an alcoholic beverage. Maybe it’s in celebration of an occasion or maybe you’ve opted for a glass to wind down. Occasional drinking isn’t too harmful and, in fact, it is shown to have some health benefits. 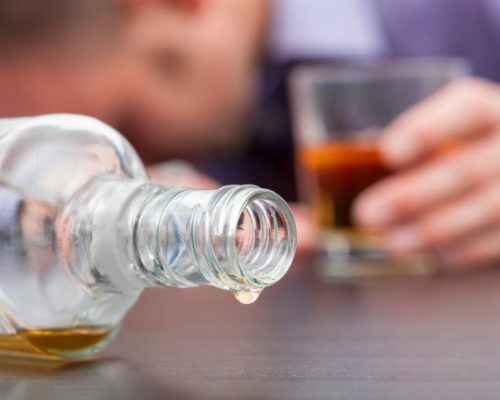 But when drinking alcohol becomes excessive, when it becomes your go-to resort to manage life and it begins taking over the activities you once enjoyed doing, you can very well have an alcohol addiction. Within the United States alone alcohol addictions affects 16.6 million adults and alcohol-related deaths are around 88,000. Drinking in excess amounts can severely harm your body and sadly end your life. This is why treating your alcohol addiction is so important. A new means has emerged that appears to be effective in treating alcohol addiction. It involves the use of virtual reality therapy and the findings from a study testing this method shows promise. In a small research study virtual reality therapy was used to reveal its effectiveness in treating alcohol addition. The findings were published in the Journal of Studies on Alcohol and Drugs. Currently virtual reality therapy is used in the field of psychiatry and psychology to help treat phobias and stress-related disorders. The idea behind this type of therapy is so expose people to their fears and stresses in an attempt to manage them – all the while in a controlled, safe environment. For the current study 10 patients who were being treated for alcohol addiction were used. After undergoing a detox, the virtual reality therapy carried out for 10 weeks. The patients were introduced to three scenarios: A relaxing environment, a high-risk situation and aversive situation. The aversive scenario involved the patient to be surrounded by sights and smells of others who drank too much. Prior to the therapy each patients underwent a brain scan to see the brain’s metabolism. In these patients the researchers observed the brain’s metabolism was faster in the area which controls response to stimuli. After the 10 week therapy brain scans were conducted again and researchers saw a difference. Where the brain metabolism was faster, after the 10 weeks is actually slowed down, meaning the sensitivity to stimuli was reduced. The researchers believe because this form of treatment for alcohol addiction is effective because it is personalized and uses real-life situation. For now the results are promising but larger, more long-term studies need to be conducted. Until virtual reality therapy becomes more available as a means to treat alcohol addiction, for now we must use home remedies to try and combat alcohol addiction. Similar to smoking, a large part of alcohol addiction are the cravings. So a good starting point to treat alcohol addiction would be to curb the cravings. Here are some home remedies for alcoholism you can try. Exercise: Physical activity is essential for good health. If you use alcohol as a pick-me-up, turn that drinking habit into an exercising one. When we exercise we release endorphins which make us feel good. Not only can that boost your mood but exercise helps manage stress which is a large reason why people drink as well. So instead of drinking, try sweating instead. Hydrate yourself: You’re probably used to drinking alcohol throughout the day but switch it up with water instead. Not only is water stimuli-free, but it helps keep the body healthy as well. Although you may have previously been thirsty for alcohol, your craving was probably more for water as alcohol dehydrates you as well. Speak with someone: As they say, “The first step is admitting you have a problem.” You can’t begin to treat something you haven’t made yourself aware of. Reaching out to loved ones, or even a therapist, can help you narrow down reasons as to why you drink. In turn you can create steps to stop drinking. Eat well: Alcohol can deplete the body of essential nutrients so restoring it with a balanced diet is also effective. Furthermore, when you have a craving for alcohol try reaching for a healthy snack instead. These home remedies can easily be followed and added to your regime to wean off alcohol. Alcohol can have detrimental effects on your body as well as on your relationships so it’s imperative you try and stop the addiction. College campuses across the globe are witnessing a huge increase in alcohol consumption among students. Not many of these young people are thinking about the future consequences of such enthusiastic binge drinking. While this is a concern for both genders, recent findings suggest that young women should especially be wary of alcohol consumption. There is now a different kind of ‘high’ associated with drinking…Find out here. Is your alcohol intake killing your liver?